What do you get when you cross a snail with the Indianapolis 500? If you’re DreamWorks Animation, then the result is Turbo, an uplifting—and gear-shifting—story about the ultimate underdog, delivered with the digital mastery, storytelling skill, and spellbinding imagery we’ve come to expect from the studio behind the Shrek and Madagascar. Packed with breathtaking images that showcase the artistry of the industry’s top talents, The Art of Turbo gives readers a close-up look at the process behind this new CG-animated feature. Turbo is a snail with big dreams. Obsessed with speed and all things fast, he is an outsider within his slow snail community and a constant embarrassment to his cautious older brother, Chet. Then one fateful day a freak accident suddenly vests Turbo with the power of incredible speed. So begins his extraordinary journey to achieve the impossible: racing against the best that IndyCar has to offer. 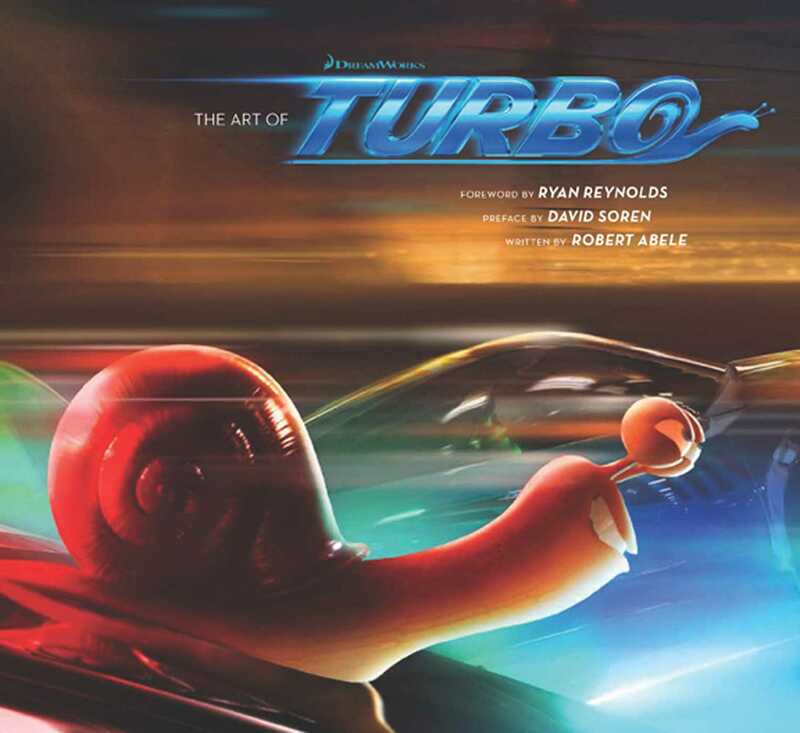 With its dynamic visual interplay of character backgrounds, concept art, design inspiration, and rich behind-the-scenes information on how it all came together, The Art of Turbo offers the ultimate celebration of the film for the whole family.